it was a memorable moment...my very first 3D movie. not sure why i had never seen one before, but it was a fun experience. it was charla's birthday...so a few of us accompanied her to sushi, and then chocolate cheesecake at debrands and then we ended the night with alice in wonderland, which charla and i had been meaning to see since it came out forever ago and it just now worked out. i loooove johnny depp, especially in costume and weird. 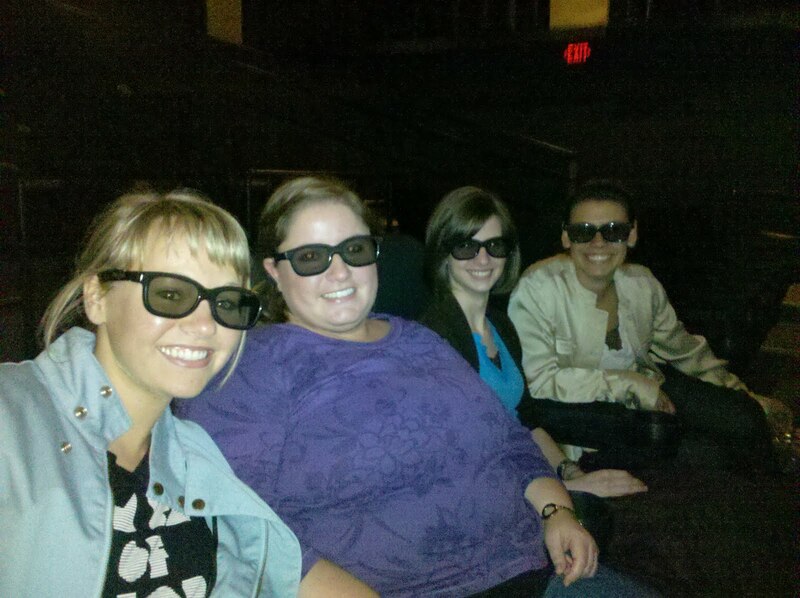 :) i think we all look surprisingly cute in those glasses. basically charla's idea of celebrating her birthday i was very much on board with! Their coffee ice cream is awesome too!!! Speaking as one who has received them as a gift- they're the best! Do they have malted milk balls? (hint, hint) Didn't know you went there for dessert- sounds fun! What a fun evening! Debrands is pretty much....the shizzle. 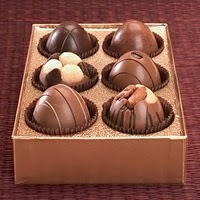 ooohh that chocolate looks AMAZINGLY good!! Ive yet to see a 3D movie as well....was it a good movie, worth my time to go see?? I've wanted to see Alice too! Maybe I should, maybe I should. oh yes...you're talking about me.